That’s what happens when you drink and go swimming /diving? Yes, you are supposed to keep it in your mouth if you get sick…gags me thinking about it. But otherwise there is a good chance you will take in a bunch of water and then a good chance of drowning – either way I would call that a FAIL! So don’t drink and dive, or drink and drive – both very BAD! I’m pretty good at that! No, I’m not telling you to kiss my face. 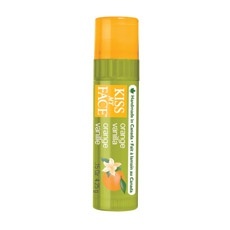 Kiss My Face is a “natural, effective, cruelty free” body product / cosmetics company. A core element of our mission is having a 360 degree view of how our products...and everything that it takes to get them to you...affect our planet. We use sustainable, plant based ingredients that are gentle to people and the planet. We strive to use the highest level of post consumer, recycled content in every bottle, box, display or brochure that brings our message or our product to you. Our goal is to walk gently and respectfully with the earth. They make everything from body wash to soaps to moisturizers to hair products including shampoo, conditioner, and styling products to products for kids. Oh and I forgot to mention products for the lips and mouth – yes – lip balm and toothpaste. Don't forget about the deodorant and shaving cream! § are natural — a resource for products you can trust. § are effective — wonderful products that really work. § are healthy — clean, natural ingredients that help you feel and be your best. § provide value — great products at great prices. § are responsible — quality ingredients and responsible production methods. The way that the company came about has an interesting story – if you want to learn more go to: http://www.kissmyface.com/content/our_story. 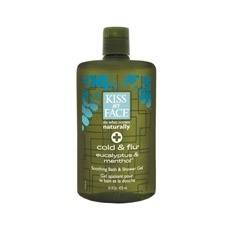 I can’t tell you about all of their products because there are so many different choices, scents, items! I would love to, but I think I’ll just let you take a look for yourself. I already have a list of items that I want to buy! BUT I’ve vowed to not buy any more body products until I use what I currently have – and I have a problem with stocking up! I WILL BE BACK! And I will be stocking up. 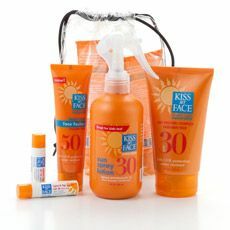 Let me know what you think of the products if you have tried any of the Kiss My Face items.